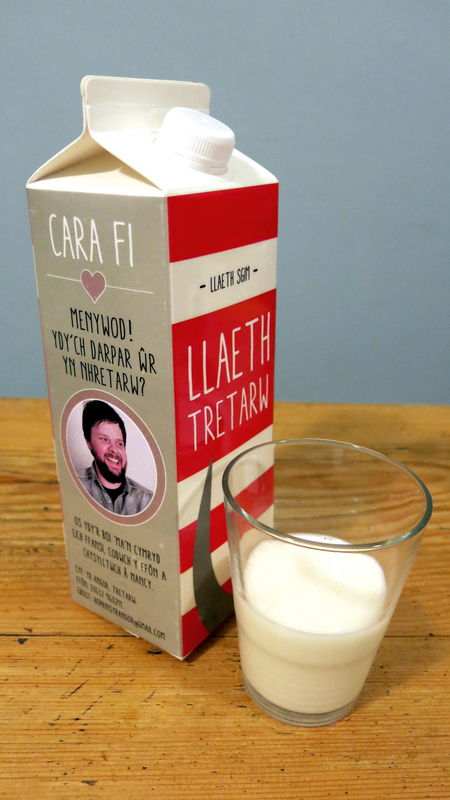 We’re enjoying working on a new series for S4C called “Cara Fi”, which means “Love Me” in Welsh. Produced by Touchpaper Wales the series tells the stories of the lovelorn men of a West Walian coastal town and the women who come to save them. There’s a distinct lack of eligible women in Tretarw, a subject hotly discussed by the regulars at the local pub. In response to the desperate situation, pub landlady Nancy decides to do something about it and strikes a deal with a Welsh dairy to feature local available men on their milk cartons. These cartons travel across the UK and get noticed by all manner of single females who travel to the remote Welsh village to find out more. Unfortunately for the men of Tretarw these gals have ulterior motives…. Starring Steffan Rhodri (Gavin & Stacey, Harry Potter and the Deathly Hallows), Gareth Pierce (Stella) and Rhian Jones (Right Behind You). “Love Me” will TX on Welsh language channel S4C from 9th November 2014. Soundworks is providing full sound editorial, ADR and mix services on this series, continuing its long standing relationship with Touchpaper Television. We’re working with Gareth Bryn and Andy Newbery (Directors), Laura Cotton (Producer) and Gwawr Martha Lloyd (S4C Content Commissioner).